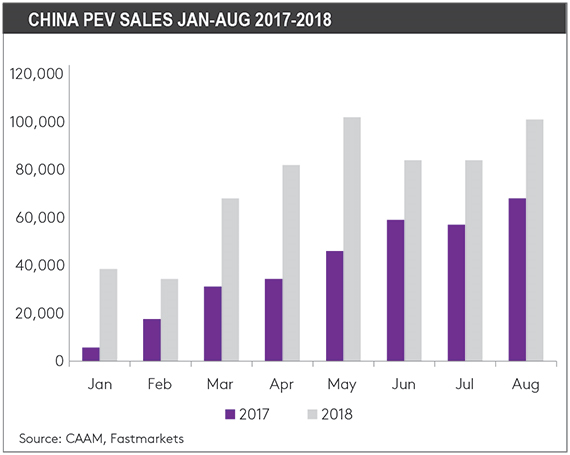 The drop-in sales between May and June was the first drop since September 2016, but Fastmarkets MB had expected Chinese NEV sales to dip temporarily after the June subsidy changes came into effect because consumers and NEV manufacturers would have to adjust to the new subsidies. 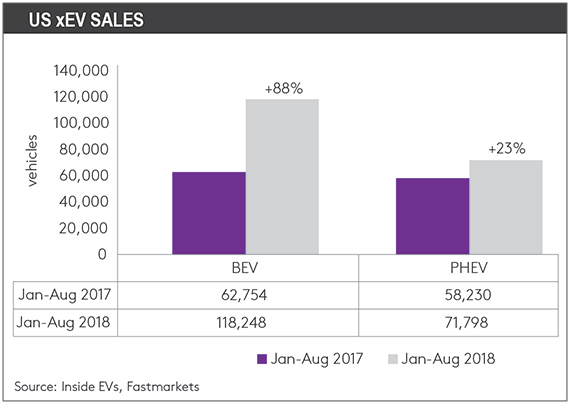 The fact that NEV sales started to rebound in August suggests the adoption of NEVs is back on course after hitting the subsidy road-bump in June. Sales in Europe and the United States continue to grow rapidly. 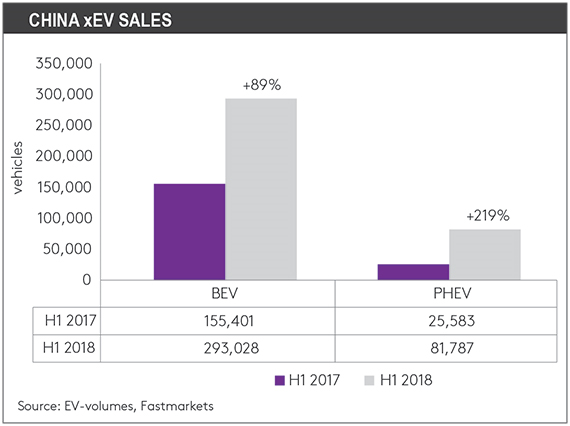 Across the main auto markets, growth in electric vehicles is booming. Generally, forecasts have compound average growth rates (CAGR) of around 20-27% for plug-in EV growth. 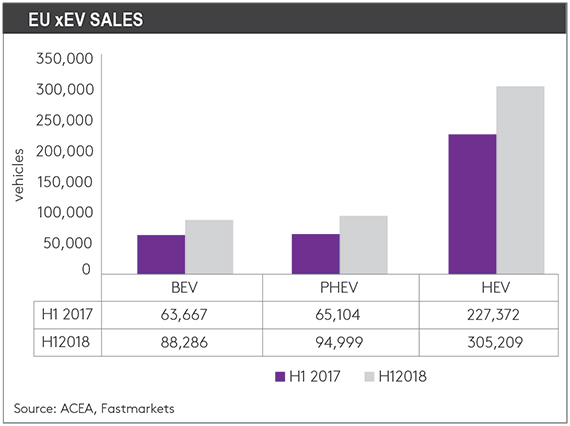 So far this year, growth rates for BEVs and PHEVs have been running at 42% in Europe, 57% in the USA and 107% in China – all well above CAGR rates. This raises the risk that forecasts may be underestimating the scale of growth in EVs, as well as in lithium-ion batteries.